Industry Awards - Members have the opportunity to win industry awards for their properties, as well as individual awards for their achievements. 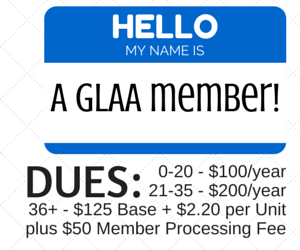 GLAA Careers Center - Members have the ability to post employment listings here to find qualified employees for a minimal $30 processing fee per listing (as of January 1st, 2016). The listing will then see local and national exposure as it will be linked to the National Apartment Associations rpm.careers.org website. NAA Lease Program - Membership is the only way to obtain the NAA Lease via bluemoon. 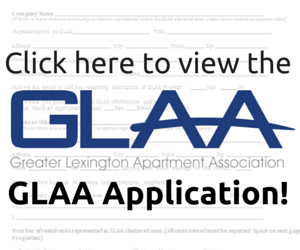 This is a very thorough and user friendly lease program that is backed by NAA's legal department. 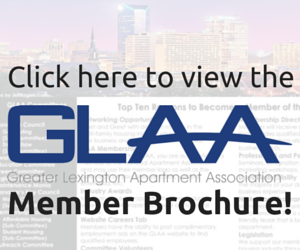 Legislation - We support our members and the multifamily housing industry through local, state and national legislation. 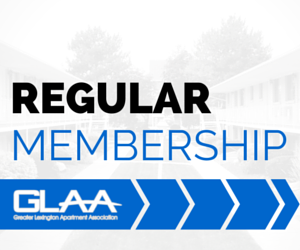 Our legislative committee monitors and fights legislative issues on behalf of our GLAA members.